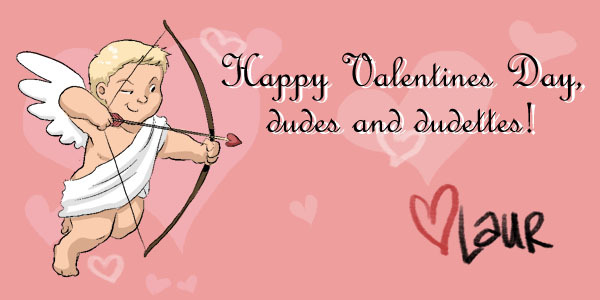 Happy new year and Happy Valentines, guys! First off, my apologies for the lack of updates since January. Recently, I’ve started getting buried in freelance work which has been good for me and the bills but hasn’t been good for 1)blogging and updates and 2) finishing up the Vol. 1 PDF I’ve been teasing since November. That’s completely my fault but I’m in unfamiliar waters and just learning as I go. I’m the hardest on myself on matters like these but I’m resolved to organize my time better and make room for what’s important. Mainly – you guys! Thanks for your patience! I generally like blogging and having a voice on the web but lately, it’s felt so much like a “chore I have to do.” It sits on on my To-Do list grumpily uncrossed for weeks and whenever I actually sit down to do it, I distract myself like crazy. So, I’m changing it up a little. I’m going “Seth Godin” style with short but sincere posts coming to you every week. My hope is to keep up with a consistent schedule and also share moments, thoughts and habits I feel have helped me either become the artist I am now or continue to help me with my work (organization, creativity, productivity, writing, drawing) If you already follow me on tumblr and twitter, there might be some overlaps over what I actually share but I promise I’ll go into some more detail here. I haven’t forgotten about the Kickstarter series! In fact, that’s my topic for my upcoming Comics Art Forum talk at the Ann Arbor Downtown Library next month. That’s motivation enough for me to work on it so stay tuned! I’ve already mentioned before how much I appreciated MangaMagazine’s contributions to the growing local manga industry and I thought their site would be another great community to introduce my work to. So, I started uploading comic pages and illustrations a few months earlier and have been updating there consistently. I’m very happy to announce they have invited me to be a Featured user on their site!